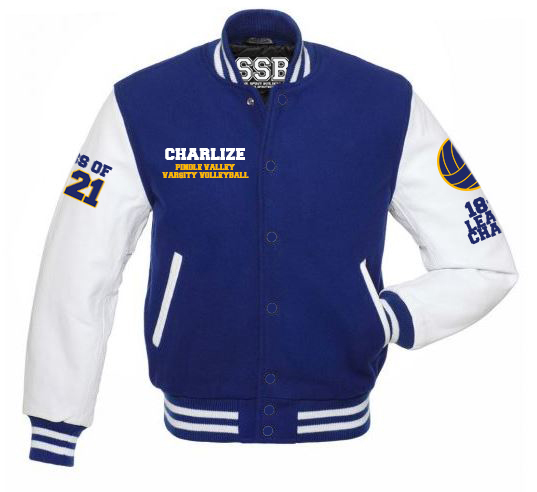 I certify that I've checked all the details on my order of a Letterman Varsity Jacket from School Spirit Builders, LLC and all the information on the design is correct. I understand that this is a custom order and no changes can be made after manufacturing approval. 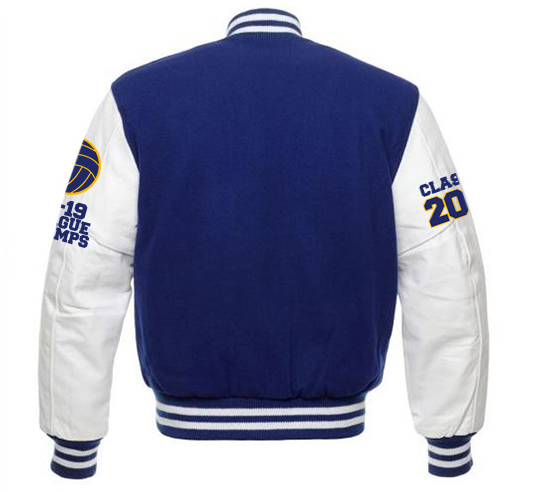 Letterman Jackets are custom made for the customer, all embroidery is done before assembling the jacket, no stitches will show on the jacket inside, estimated time for arrival will be between 4 to 5 weeks. Jacket Body: Color Royal Blue "Wool"